Today in the neighborhood coffee shop, I spotted a poster made by a local designer for an upcoming music festival. Hence the sigh. A tomahawk and feathers had somehow made their way onto the poster for a West Coast band consisting of three bearded white guys. As I stood in front of the poster, noting the word ‘primitive’ in the write-up below the piece, I looked over and saw a blond girl with a Pendleton-style bag and a guy wearing a knitted Cowichan sweater… or maybe a look-alike he bought at The Bay. Another sigh. Non-native hipsters, I know that native imagery is trendy right now, that your friends are wearing it and the blogs and magazines you read are telling you to join in the fun. But when you and I look at those dreamcatcher earrings at the mall, I’m pretty sure we see different things. So I’d like to take a few minutes of your time to share my perspective, as a real live native person. Maybe in exchange for wearing my culture on your chest, you could allow me to suggest a slight re-jigging of your fashion trend. I come from a family of artists, so I appreciate the aesthetic value of our artwork. My family is full of carvers, weavers, dancers, and singers. I’m lucky that way. But it isn’t just luck that allowed these artforms to be practiced today, it is years of political struggle and resistance. For close to 100 years, in an effort to get rid of “the Indian problem” in Canada, the Indian Act made it illegal for us to practice our traditions. You see, non-native hipsters, your ancestors wanted to obliterate us in order to clear up the land for colonial expansion, and getting rid of our artforms and cultural practices was at the heart of those efforts. It was only the mid-1950s that this was written out of Canadian law, so that my relatives were no longer imprisoned for using our masks, blankets and other regalia in ceremonies. I know you probably didn’t learn this in school, but it is a part of the local history that accompanies native culture. Each Indigenous culture around the world has its own history of suppression, its own story of resisting attempts to obliterate them so that industrial capitalism could flourish. Hey, you in the sweater — do you know what it took to maintain Cowichan knitting practices in the face of residential schools, intense poverty and assimilative policies? Separating native people from our culture, and the politics and history from the images, serves to erase us. It makes it easier for native people like me, and the woman who knitted that sweater, to remain marginalized and silent while our imagery becomes a consumer object as part of mainstream culture. This is an old tactic, part of broader political efforts to forget the history of colonialism upon which this country is founded. Sports teams, band names and brand names which use Indigenous words and icons contribute to turning a marginalized people into a commodity. This separation of imagery from politics doesn’t just happen here at a local level, but internationally as well. My ancestor’s ceremonial masks are in museums in Germany, England and New York. Mini totem poles are being manufactured in China and then sold in tourist shops in Seattle, Honolulu and Toronto. In the 1800s, they used to put real, live native people on display as well, remnants of a supposedly dying race. But now it is only our hard-won cultural icons and practices, like dreamcatchers and sweatlodges, that are of interest. So a tomahawk is not just a tomahawk. It is a symbol of my silence. It is a history of resistance turned into a symbol of cool, devoid of any meaning or political significance. As the write-up below the poster notes, images like tomahawks are seen as ‘primitive,’ as are the ceremonies, laws and ways of life native people still practice. It is no coincidence that when I go to indie music festivals, I see a whole lot of Cowichan sweaters and not a lot of Cowichan people. Yet it is with great surprise whenever I see a native artist or native musicians – actual Indigenous people – included in such mainstream cultural events. It is not the norm. Likely, many of you won’t care about all this: apathy has had a long-term love affair with consumerism. It’s a classic co-dependent relationship. But a few of you might ask why you should care, what’s in it for you? Well, for starters, I am trying to save you some energy. Maintaining your hipster culture requires a significant amount of effort in order to deny or forget the history I’m talking about. And in fact, it is far from ‘history.’ On the West Coast, we are constantly reminded about the unfinished business of land claims in this province. The current struggle over the Juan de Fuca Trail is a prime example, where elders from local First Nations are speaking out against development. Consumer culture depends on you divorcing the politics behind native imagery from the history of struggle it has taken for it, and us, to be here. This is an active forgetting, requiring you to spend energy keeping current issues separate and apart from the images you emblazon on your t-shirts, the ‘tribal’ designs you get tattooed on your shoulder or the native names you use for your bands (Geronimo being a good example). It isn’t necessarily that there is a problem with wearing Indigenous art or symbols – in fact, my family’s success as artists depends on people like yourself buying their jewelry, t-shirts or masks. The challenge is maintaining a connection between the imagery and the practice of our cultural wealth (including artwork, language, ceremonies, and law) and the history and politics that have ensured their survival. So here’s what I suggest. Why not take another trend and put it to use here – I’m thinking here about the local food craze. ‘Eating local’ involves creating connections on a small scale, lessening the distance between the ground where your food was grown, and your plate. It involves meeting your local farmer at the market, buying a potato they grew themselves and picked that morning, and eating it for dinner that night. Why not take these same principles and put them to work with native imagery and artwork? Rather than buying a Pendleton-style bag mass-produced overseas and sold at Urban Outfitters around the world, why not buy a t-shirt, sweater or earrings from your local Indigenous craftsperson. Meet them, find out where they’re from, and the history behind their particular craft. In the process, you will be educating yourself about local Indigenous history and political struggles, and putting food on the tables of local artisans. I know this isn’t a complete solution to cultural appropriation, but it’s a start. And with this local approach, you’ll be better informed and can still look cool while doing it. …The blankets that the English contaminated with smallpox to use as biological warfare on the natives are the same blankets that are being sold in HBC stores. @Jason Bryan: Yo, you’re pretty damn racist. At what point is it inappropriate for one to wear, let’s say, a Cowichan sweater? Is it still inappropriate if the person is black? What if they’re 1/20th First Nations? What if they don’t know their ancestry at all? If you had a mixed child, what would you tell them? “You can only wear your Cowichan sweater half of the time because you are only half native, and you can’t wear it when you’re out with only your non-First Nations parent, because otherwise people will judge us and think we’re hipsters!” No. Art should be able to be appreciated by anyone, regardless of race or what “their” ancestors may have done. We have to judge the individual, not the race, if we ever want to truly heal. i respect your opinion on this matter and the fact that you took the time to read this. i’m sad that our culture has to buy into these fashion trends for a while.. then just toss them to the side when they actually really mean something. like you said, these pieces of art and artifacts have hundreds upon hundreds of years of meaning.. and they are simplified and used for consumerism. although i do admit own some shirts such as the ones mentioned in this article – i have been awed by native american artwork since i was a kid. i always liked/had totem poles, warrior dolls and artwork because i simply liked it. However, I agree with every other point you’ve made, and the sentiment behind them. wow!!! Thanks for sharing so so so true!!!! Respect to you! 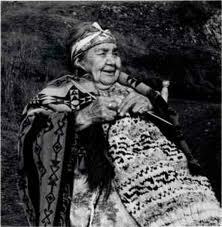 I wear cowichan sweaters as have 4 generations of my family. I have pictures of my great grandfather proudly rocking a fine cowichan knit pullover standing in front of his model T Ford from the 1930s. I find hipsters of all races to be irritating upper class twits but don’t blame them for appreciating finely crafted knitwear. If someone has a problem with me wearing a knit sweater because of my genetics they are welcome to come and confront me about it. They are also welcome to F**k off. Support local indigenous craftsmanship all you can. I am poor so I get mine second hand. Got an issue? Grab a tissue.